Frank, daring, freedom-loving – the loft style is recognized by the naked eye, resembling an abandoned factory production, attic, and workshop of a talented artist. 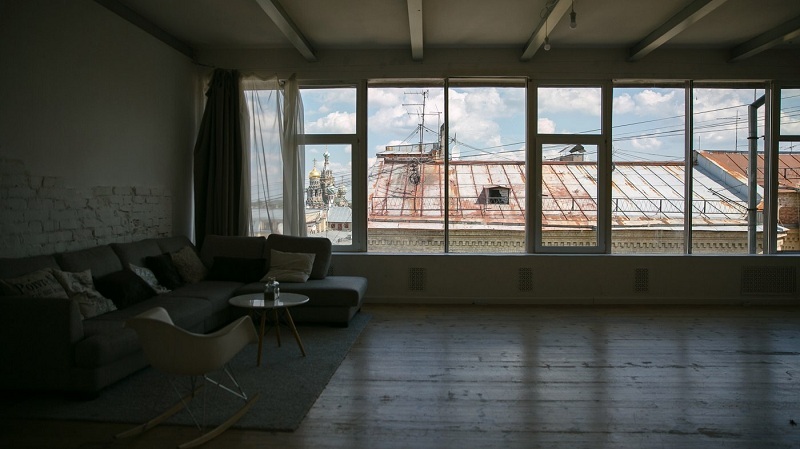 “Minimum of partitions, maximum of free space” – these are the accents placed by the loft, submitting to the independent, liberated owners of the apartments. Having no analogs, the style successfully combines different architectural solutions, combining the old and the new, the rough and elegant. 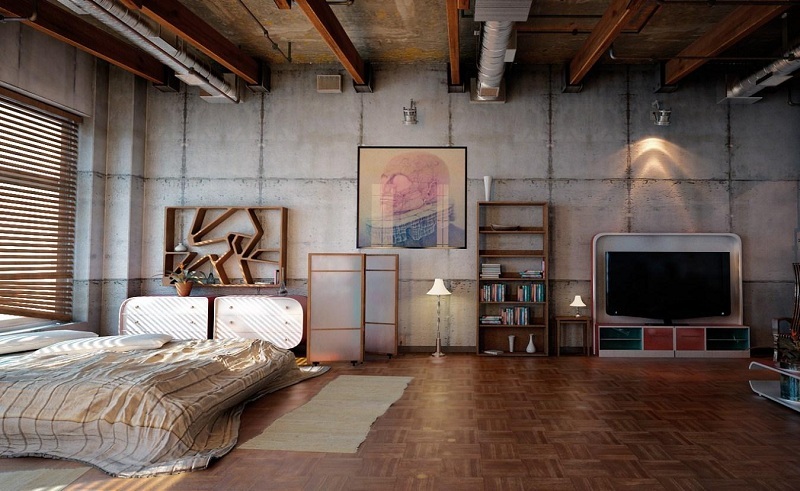 The origin of the loft style in the interior is associated with 40-50 years. Twentieth century. Major American cities faced an unexpected problem: rental prices for premises seemed fabulous, and industrialists preferred to move production beyond the city limits. The rooms remaining from the factories were empty – the central parts of the cities seemed dull and abandoned. Americans found a way outselling buildings literally for a penny, and new owners sought to retool production rooms into residential premises, renting apartments to poor citizens. 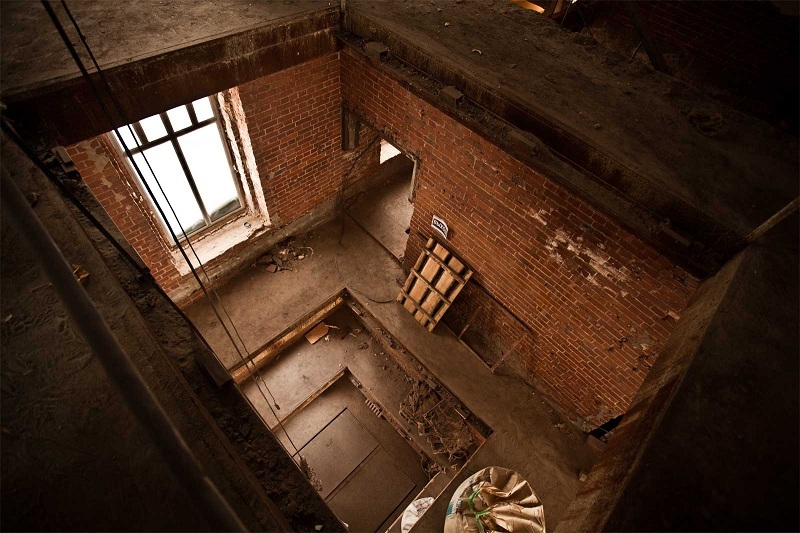 Brick walls, uncovered pipelines, the absence of interior partitions, ceilings of immense height – these were the first signs of a loft. Very soon, American bohemia will pay close attention to such interiors and will begin to actively refit lofts and former workshops. Huge spaces, previously considered unnecessary premises, were actively settled in, becoming the forerunners of the appearance of special urban charm. Fashion trends quickly crossed the ocean, reaching the cities of Europe. The popularization of style began, and soon rich citizens began not only to re-equip old buildings but also to build new apartment buildings, obeying American manners. had high ceilings and large windows, equipped with open pipes and wiring. So the loft acquired recognizable features – in order to become one of the most sought-after areas in the interior design. 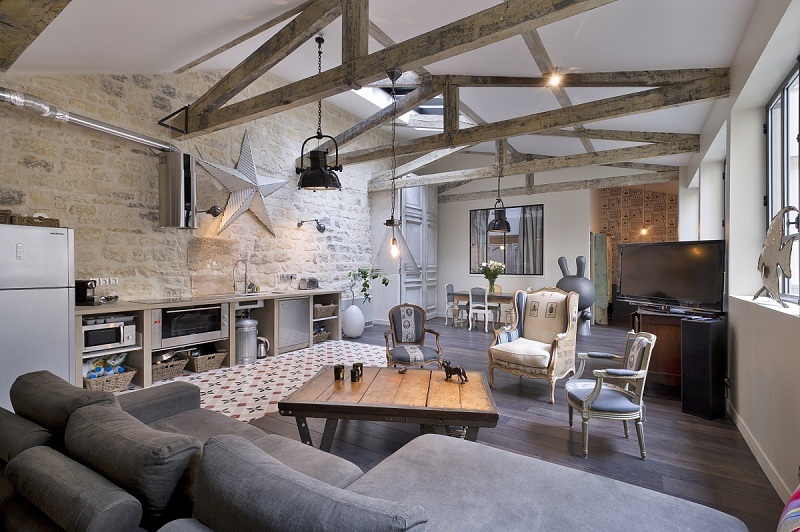 Loft – a bold style, familiarity with which begins with the association with the old workshops, attics, attic. However, looking closer, you notice the excellent taste of the owner of the apartment, who has managed to combine the spirit of the times with modern details. Open planning: there are almost no partitions, and the zoning of the premises is carried out using color/light contrasts, glass elements. 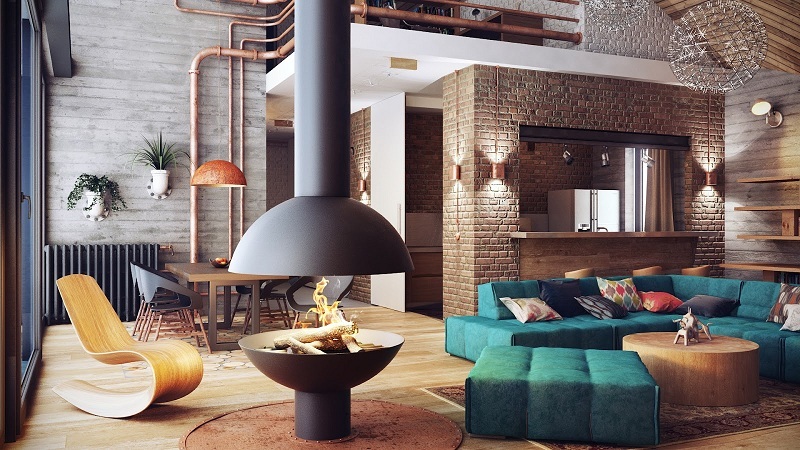 Industrial accents: brick, rough plaster, pipes occupy a special place in the interior. The combination of new and old: the atmosphere of “abandonment” in harmony with modern technology, chrome parts, steel plates. 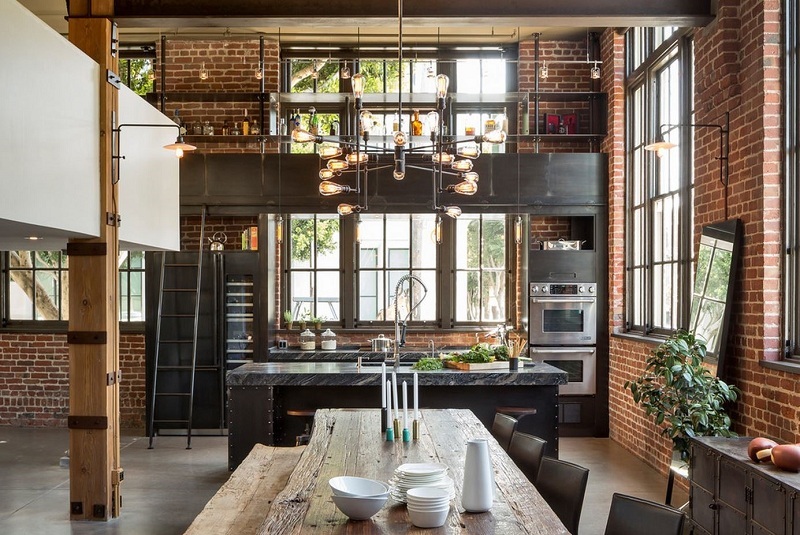 High ceilings and more windows: the more light and space – the better for the loft. Window designs “do not hide” behind curtains and curtains. Strict color range, where several harmonizing and contrasting shades prevail. 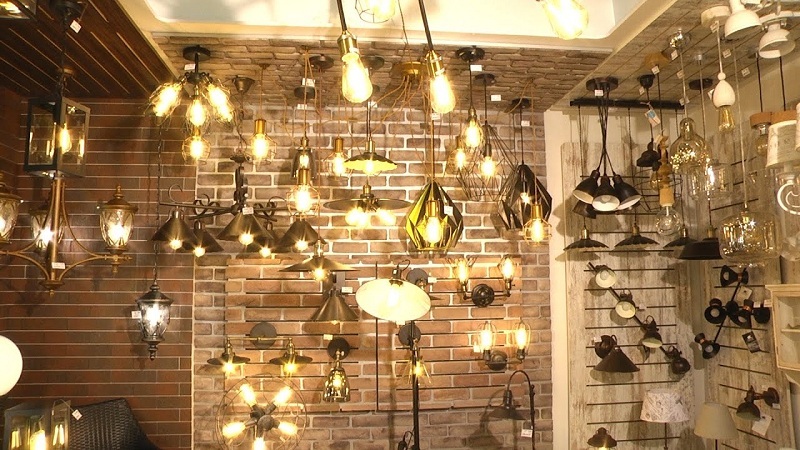 At the same time, there are three directions in the style itself: bohemian, glamorous and industrial. 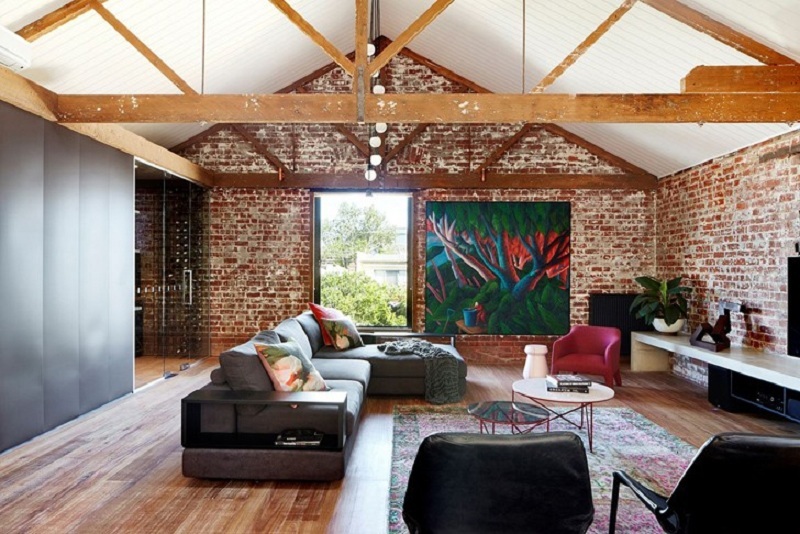 Bohemian style preserves the aesthetics of open space, however, it has fantastic decor. The furniture often has an old, slightly worn look, and the interior is complemented by paintings, sculptures, art objects, musical instruments. The main focus is on the diversity of the color palette of the room, combining a variety of pastel colors. Against the background of a gray-white, lilac-pink setting, elegant lighting devices are observed. It is not excluded that the bath can be installed directly in the kitchen, and the sleeping bed can be located next to the dining table. 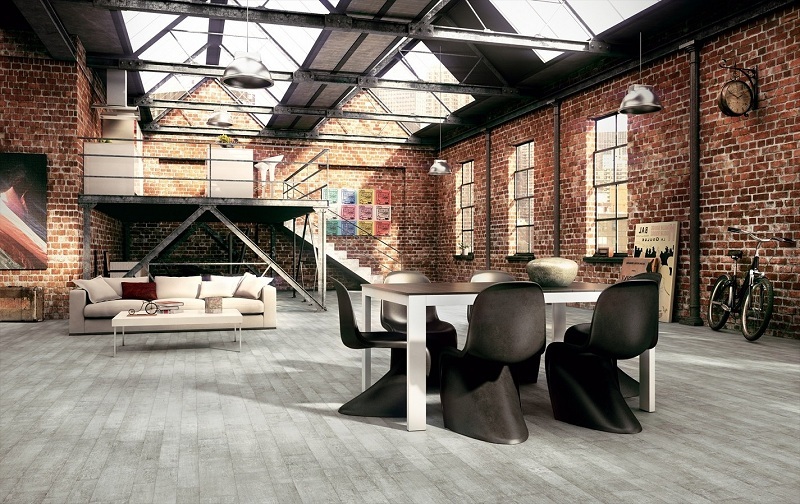 Industrial style direction fills the room with elements of the production department. In priority – pipes, chains, nodes from the wires. The furniture is discreet, featuring a clear geometry. Freshness, space, light – these are the priorities of the loft, achieved through a kind of interpretation of the decoration and light sources. The design of the premises gives preference to coarse, often untreated materials – concrete slabs, wooden boards, bricks, metal, glass. The color scheme has a strict, concise character. The characteristic tones of the style are white, black, gray, beige and brown, and blue, green, and red scales are used as accents. overall floor lamps with an original silhouette (spotlight, studio lighting). 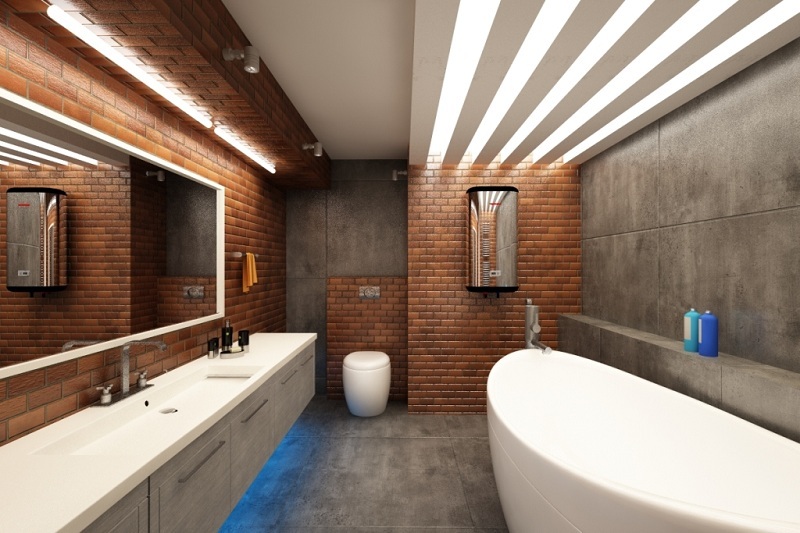 Often, designers turn to LED illumination, which is especially relevant in the conditions of small apartments. 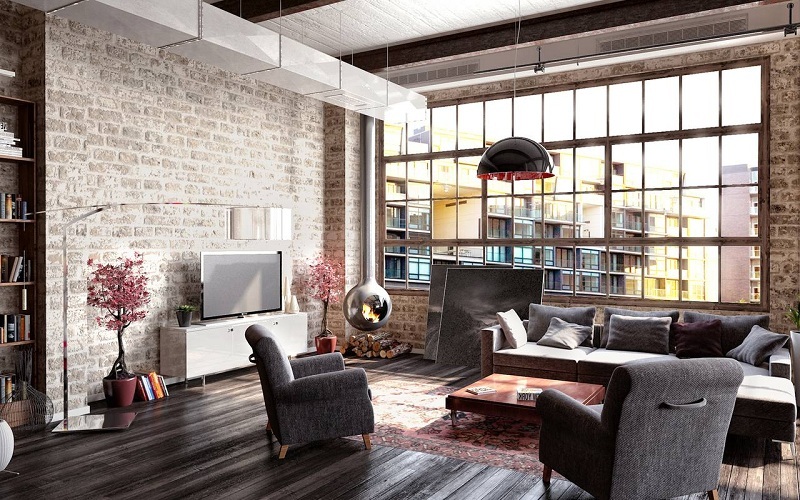 The ideal room for a loft style is a large space with a minimal number of walls and partitions, impressive windows and high ceilings. 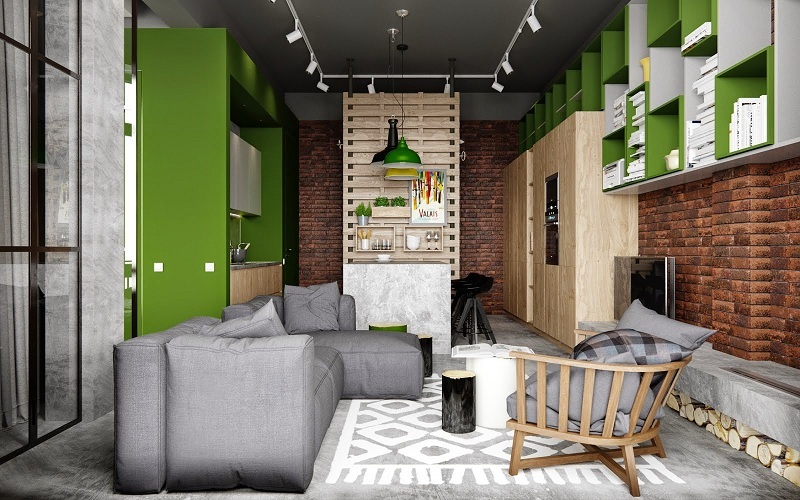 However, even in a small apartment, you can achieve a certain charm of urban charm, for which you need to properly combine the textures and materials of the floor, walls, ceiling. The classic floor covering with the equipment of factory workshops is concrete. However, it is rarely used in living quarters — a cold and impractical material is hardly able to recreate a feeling of comfort. Ceramic tile, laid in the bathrooms, in the kitchen. A variety of materials allows you to divide the space into functional zones. Carpets and walkways that are acceptable in an industrial-style atmosphere also help to achieve zoning effect. Wooden construction, creating a feeling of attic floors. In small rooms, it is enough to use plaster and white paint for the ceiling. Loft assumes a minimal presence of interior partitions. Bearing structures are made of brick, concrete, excluding the treatment of walls with finishing materials. Acceptable option – plating surfaces with plywood sheets, wooden boards or masonry of decorative bricks. The room, recreated in the framework of the style presented, should have large windows with wooden frames (possibly white plastic). Acceptable as a whole glass, and many segments. Window type – mansard or French. Window designs do not cover with textiles. The combination of old and new eras. Orientation to brevity and functionality. Unlike baroque or oriental style, in the loft, you will not find a copious amount of beautiful interior items. Like hi-tech philosophy, the design requires only the elements necessary for life – a bed, a bedside table, a wardrobe, a sofa and armchairs, a dining table, a few chairs. Preference is given to leather, wood, chrome-plated aluminum, steel. It is important not to have furniture flush with the walls, which violates the concept of an “empty” dwelling. The state-of-the-art equipment contrasts on the background of antique furniture – televisions, refrigerators, stoves, etc. The task of the designer is to strive to emphasize the originality and originality of the interior. With a minimal amount of furniture, the rich decor makes the room “alive” and holistic. It is possible to renew the room in the loft style with your own hands. The style is unpretentious – just focus on the basic requirements of the design, without burdening stereotypes. The kitchen does not require a lot of space, combining the interior of chrome and glass. The main space is occupied by a refrigerator, oven, dishwasher, coffee maker. The living room is filled with a massive sofa, armchairs, poufs, a coffee table. The effect of piling up should be avoided. The bedroom is traditionally fenced from the main space by walls or glass partitions. Zoning structures can be left untreated or painted in calm pastel colors. It is allowed to have a small fireplace in the room, a wardrobe, a panoramic window. The bathroom gives the designer a huge space for reflection. Loft allows the installation of both vintage bathtubs with curved legs, and modern shower cabins. Based on this, the style of the whole room is determined. The entrance hall requires increased attention – this is where guests begin their acquaintance with loft style. Preference is given to bright colors and bright lighting, to increase comfort use built-in niches or cabinets for outerwear. 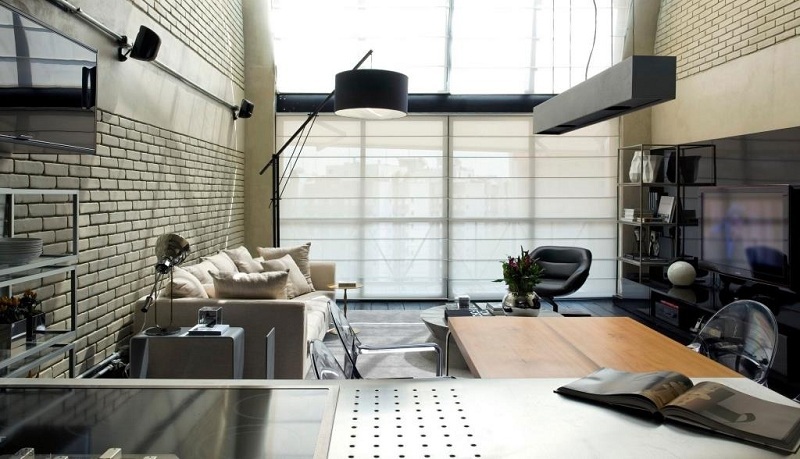 The decision to make the interior in a loft style is chosen by creative, freedom-loving people. The style is available both for owners of large, spacious rooms and for owners of small apartments. The main thing – to show imagination and originality of thought.